Top: Beef sausages. 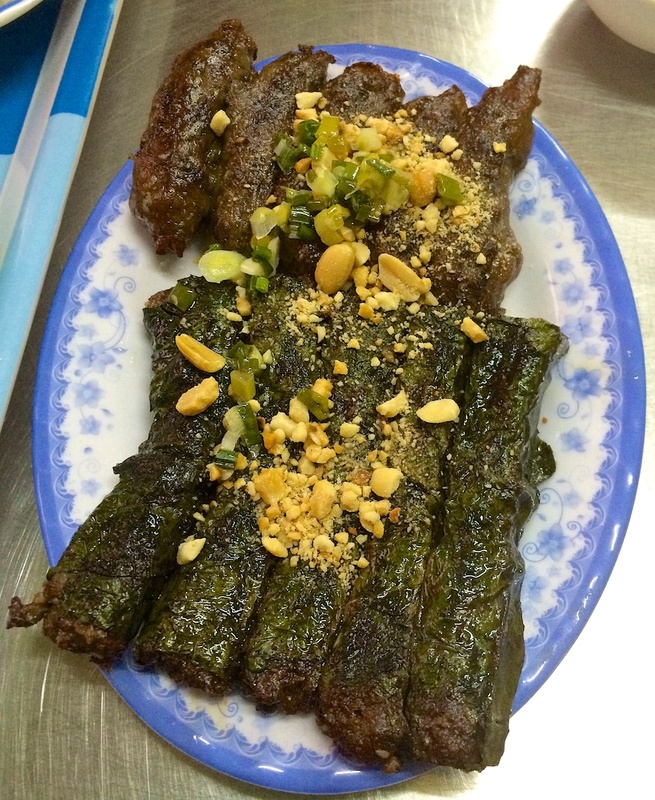 Bottom: Betel leaves wrapped pork. 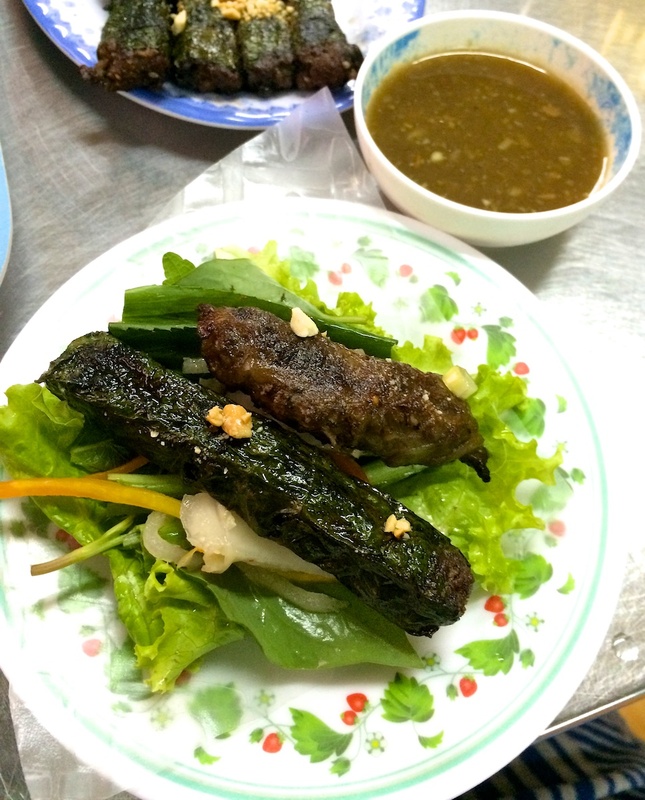 Bò Lá Lốt is lemongrass and curry seasoned ground beef wrapped in betel leaves. Betel is a plant found in Asia and when combined and chewed with other substances, it’s a mild stimulant. It’s addictive and destructive to the quality of the chewer’s teeth. However, consuming the leaves won’t cause any harm to the body. As the matter of fact when grilled over charcoal, it gives off an amazing and distinctive herby fragrant. I guarantee that one whiff of this aroma walking down the street will get your mouth salivating. Mỡ Chài is beef sausages. 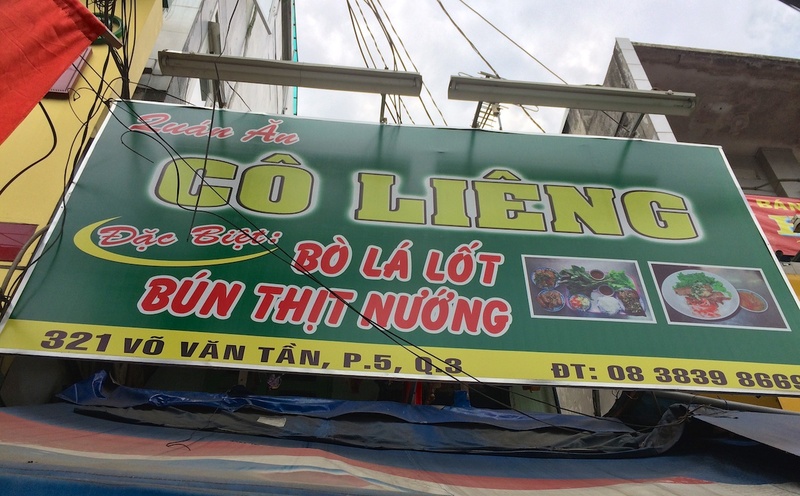 I believe it has similar seasoning as Bò Lá Lốt, but instead of wrapping it with betel leaves, it’s wrapped with a layer of pork fat. This is also grilled over charcoal. Both are delicious when wrapped with rice paper, lettuce and a mixture fresh herbs and dipped in the pineapple and fermented anchovy sauce (Mắm Nêm). Don’t be scared of this sauce because it really enhances the flavors of the grilled beef, but if this is not your cup of tea, you can request for the sweet and tangy fish sauce (Nước Mắm).